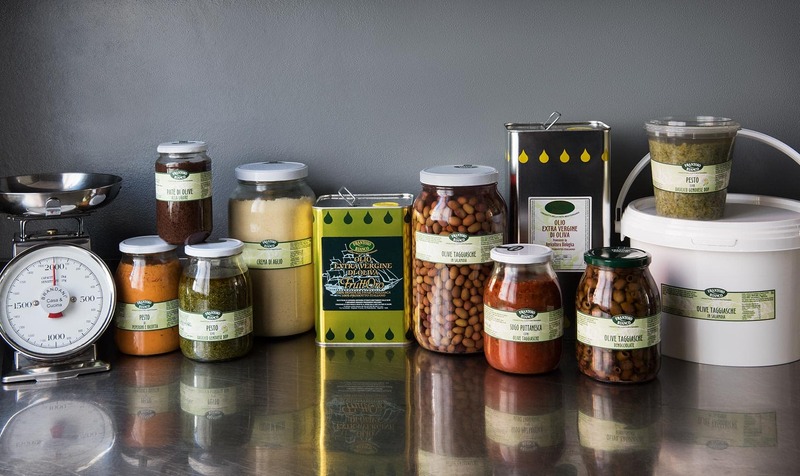 We directly produce all our condiments, creams, sauces, vegetables and, above all, extra virgin olive oil and Taggiasche olives: therefore we are able to satisfy the needs of every consumer, including those who require larger or plastic formats for catering. All our specialities are ready-made, representing an essential help in any professional kitchen. As direct producers of all of our products we are able to efficiently serve the needs of professionals in the restaurant trade. For the specific needs of chefs and restaurateurs, we have created a line of glass jars, ranging from 500 grams up to 3 kilos, as well as a line of plastic jars from 900 grams up to 8 kilos. Naturally, all of our extra virgin olive oils are available in 3 to 5 litre tins.